It is McCalls 6792. I thought this would be another very quick top to make, but it took me a bit longer than I thought. The fabric was a bit slippery to it took a while to cut out. I had to unpick the corners of the yellow a few times and they still aren't perfect. 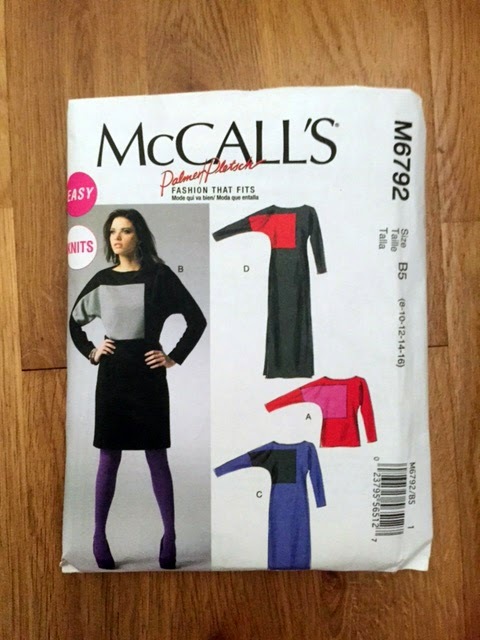 This patterns has a lot of ease, it is lucky you can make it up and take it in where you need to before doing the hems. I needed to take it in all over and quite a lot on the lower sleeves. I also gave it some waist shaping on the back seam. The only other change was to do a narrow hem at the neck instead of the facing. 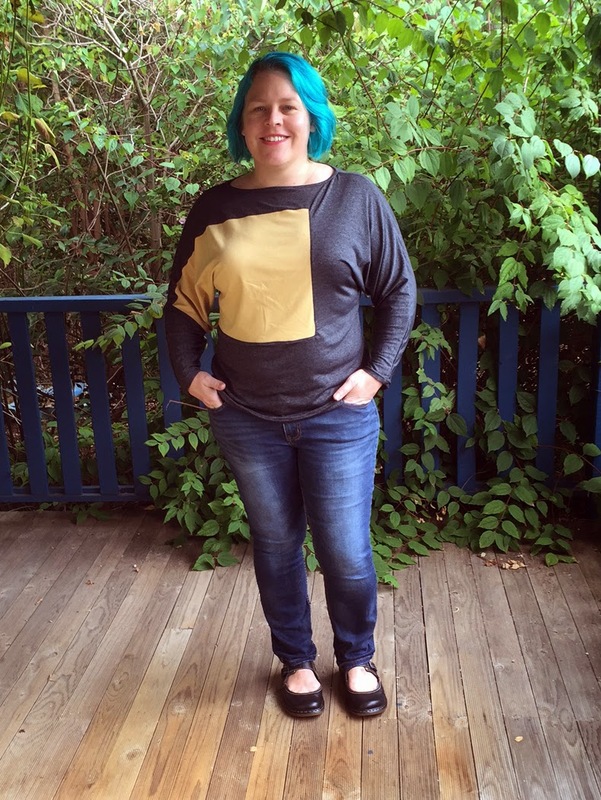 I love this shirt, I'm not sure I need to make another colour block shirt, but maybe I might need a dress in the future. I have made myself a couple of shirt this year, thanks to your inspiration. I love it as a dress - the one shown B on the pattern. Looks so comfy.